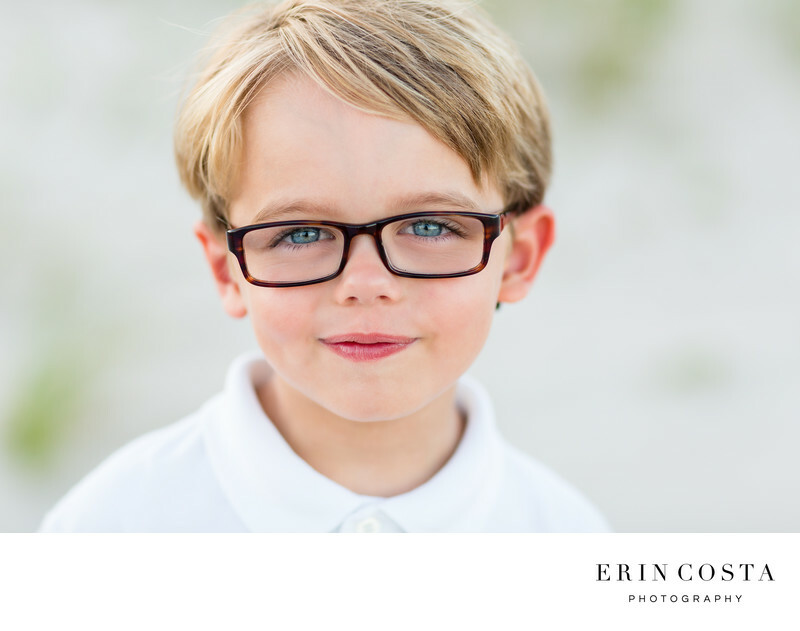 Captioning the personalities of children during their portrait sessions are what I love to do. This little guys glasses were the absolute cutest ever, and his little smirk with the glasses was perfection. His extended family was visiting Topsail Beach from out of state, so we took time during the portrait session to photograph each of the children alone.